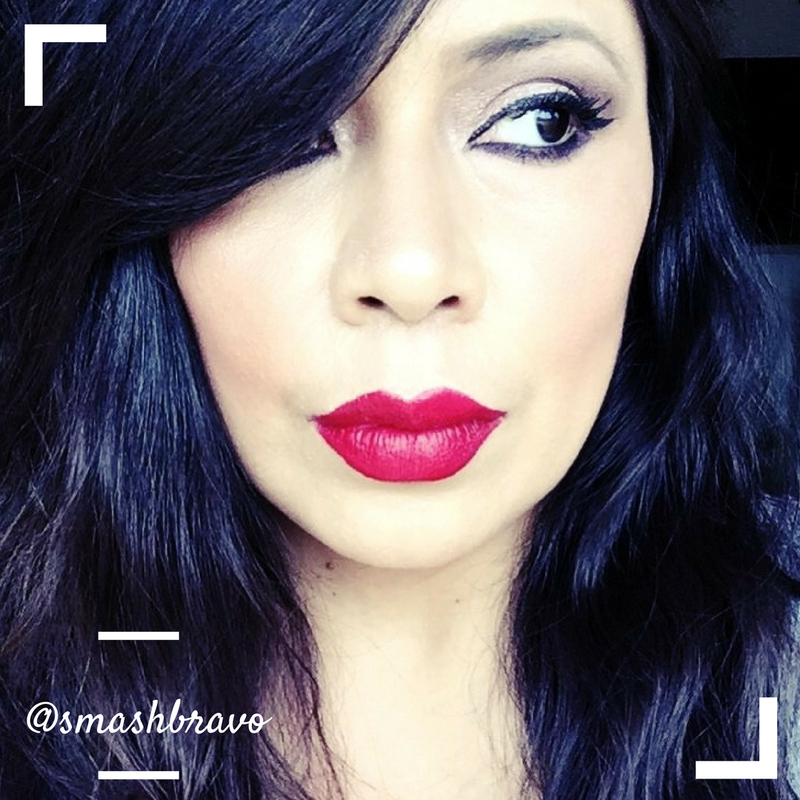 If you are a drugstore beauty lover like myself, then you probably have been waiting for the release of the brand new Maybelline the Rock Nudes Palette, just like me. I had been looking forward to it because I do really enjoy the Maybelline Blushed Nudes palette from early this year. I don't have the original palette, having chosen not to purchase it after seeing so many bad reviews. 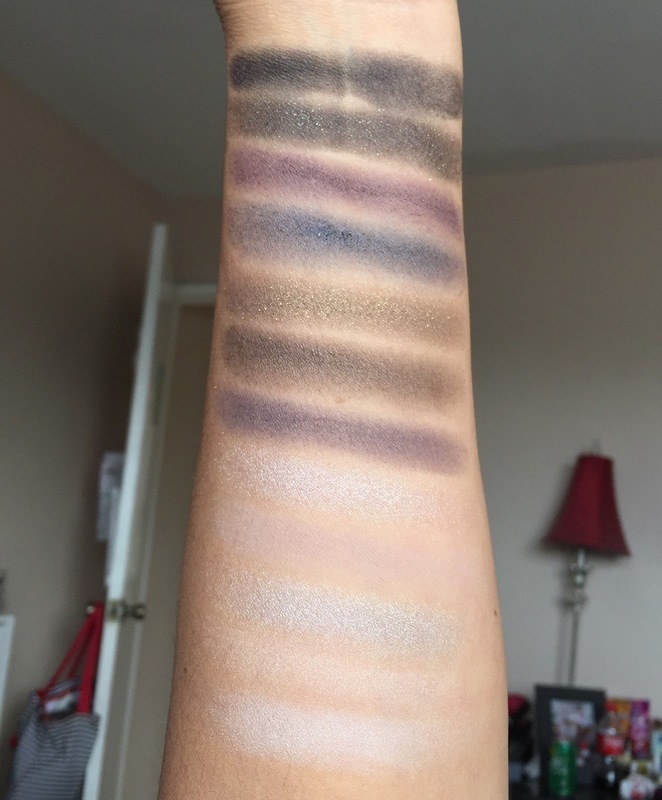 I know that the Blushed Nudes Palette is not amazing, or perfect, but it's cute and the shades are soft and pretty and with a good primer you can get some really pretty looks. I was hoping that since time had passed hopefully Maybelline would amp up the formula and that this palette would be awesome, I am sorry to note that for me, this palette is just okay and will probably be going back. But before we get into all of that, let's have a look at this baby, because I do def love the packaging. 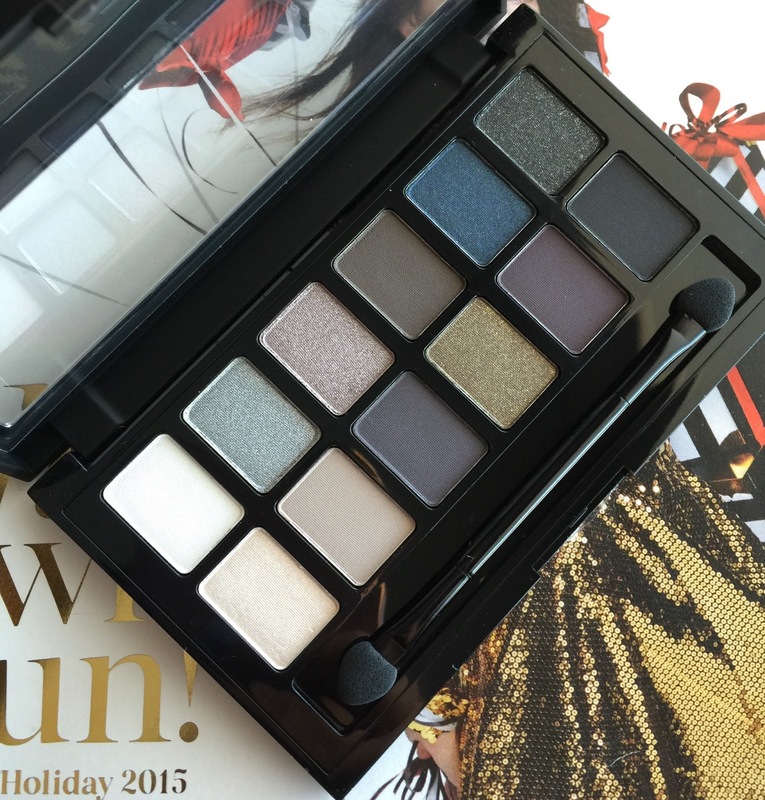 Maybelline the Rock Nudes Palette is sexily packaged in a matte black case with silver font. From the minute I saw it on IG a few months ago, I was like OH MY! I'm totally a rock chick at heart and I loved the idea and shades. In person when I saw it in the store, I had the same reaction. Holding it up to the light really makes the silver lettering stand out and so do the glittery shadows, they really catch the light beautifully when you are just looking at it under some sort of light. In fact it looks a lot prettier under light because in the day shots you will see here, you can't even appreciate those glittery shades. Bright, natural light always washed out swatches so these are a little bit deeper and the sparkly, sparklier than these show. It's SO hard to really catch details in this sort of shot, but still you can see how the shades are not super pigmented and how they are a bit patchy. 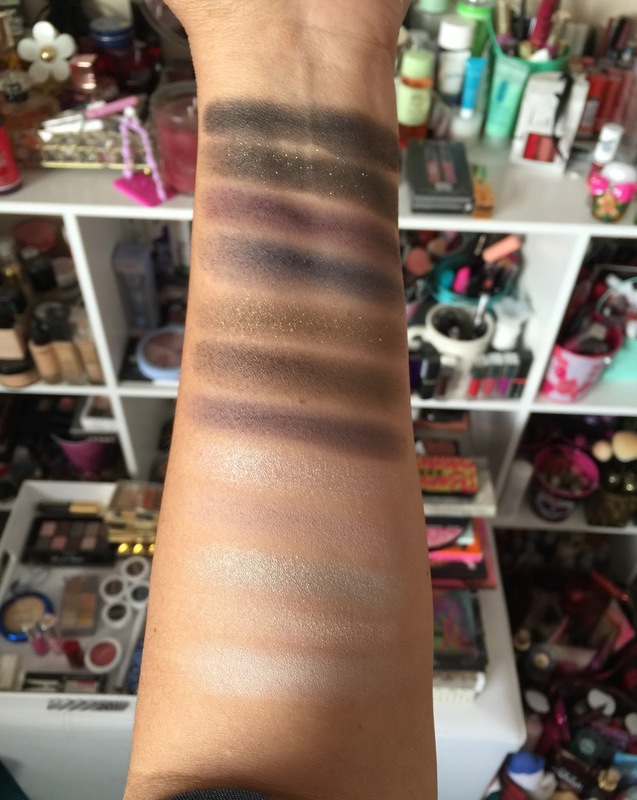 A month ago I swatched the MUA CVS Palettes and those are so much more pigmented and creamy. I also found a batch of brand new Milani Palettes that have superb pigmentation, for the same price. With so much competition, I am afraid the Maybelline Rock Nudes Palettes is my least favorite of the drugstore palettes I have tried in recent months. 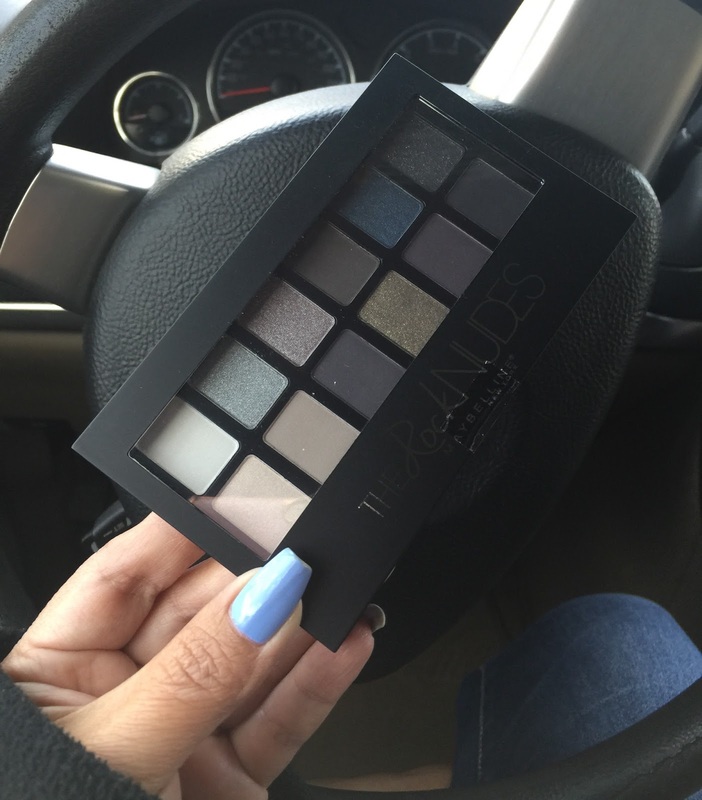 Even Wet n Wild palettes are better, and you know how affordable those are. I purchased The Maybelline Rock Nudes Palettes at Walmart for $9.99. I know many of you are looking forward to trying it out and I suggest you do. You never know, you might really like it and it could work out for you. For me, the Maybelline Rock Nudes Palettes is not the worst palette in the world by far but in comparison to other recent launches it def trails behind. Before making a final decision on its fate I will be trying it out on my eyes and will then decide if it stays in my collection or goes back to Walmart. I really wish I had loved it, I really do.